Idstein Castle is a hill castle that was later re-built in the Renaissance style. 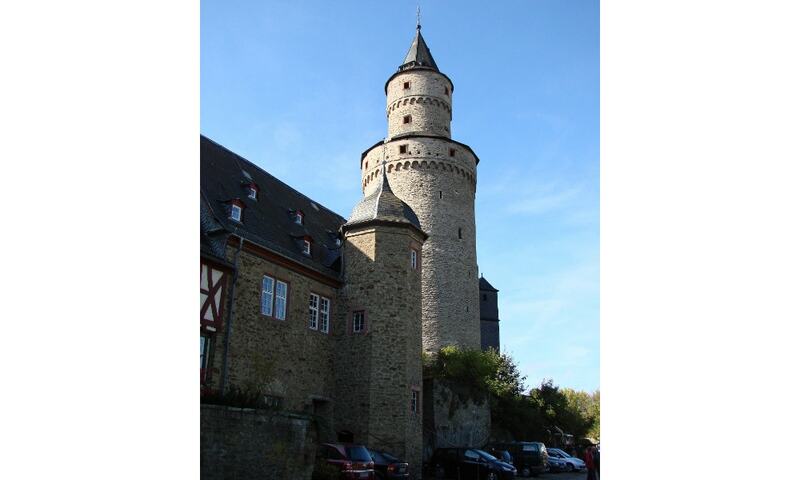 The castle's Witches' Tower (Hexenturm) is one of the town's oldest buildings and a substantial local landmark. Today the castle houses the Idstein Pestalozzi Gymnasium. Both schloss and bergfried may be visited on request.